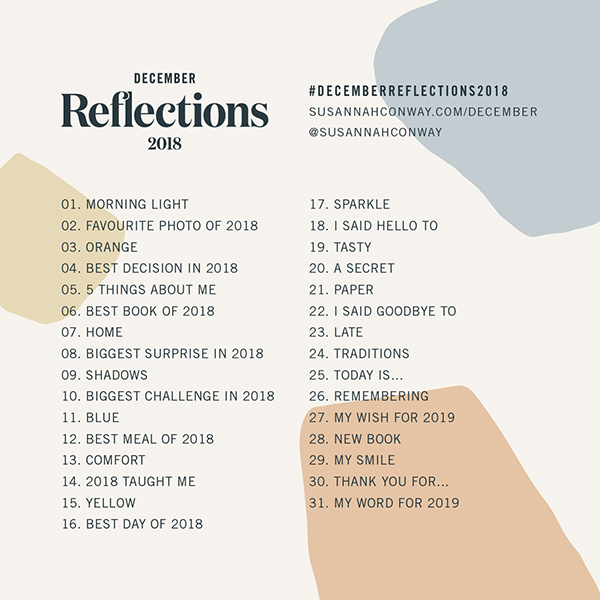 December can often feel overwhelming so this is our chance to weave some mindfulness and calm into our days in the run up to 2019. The idea is simply to take a photograph (and share it if you wish) every day in December while reflecting back over the year. I’ve provided a list of daily prompts with a mix of things to photograph — for example: morning light, blue, home — and things to ponder. 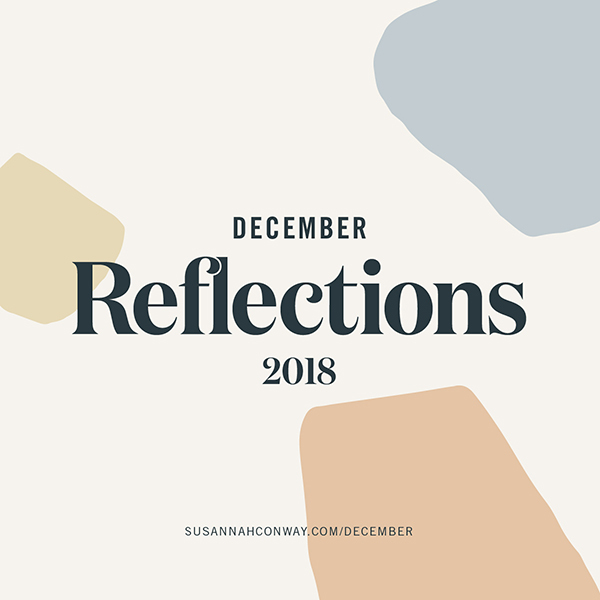 The ponder prompts are an extra invitation to pause for a moment and consider some of your favourite bits of 2018. Share your treasured photos from the year alongside your thoughts. Dig further into the prompts privately in your journal. You may feel moved to create paintings or collages or poems. December Reflections started as a photo project but feel free to take it in any direction that calls to you! You can use any camera to take your photos. You could shoot every day or every other day or just on weekends. You can share your photos or simply enjoy taking them without sharing. You can follow along with the prompts or just do your own thing. You can do the prompts that appeal to you and ignore the rest. You can join in at any time. PS. You can join in any time during December — this is an informal challenge so jump in whenever you like!